At Bon-Accord Training Ltd., we put quality and safety first for our clients, delegates and our instructors. 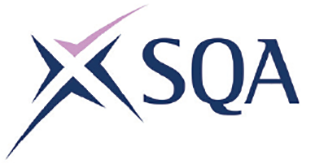 The company and instructors are both certified by several accrediting bodies including the Independent Training Scheme and Standards Register (ITSSAR), Construction Plant Competence Scheme (CPCS), National Plant Operators Registration Scheme (NPORS) and Scottish Qualifications Authority (SQA). We have a highly experienced team, with industry experience, who pride themselves in adaptability and professionalism. We are committed to understanding our customers’ needs, ensuring the most cost effective training provision for every client. We recognise everyone learns differently so our instructors tailor their delivery of our accredited courses to meet individual needs. We are an independent, family owned business with a proven track record having delivered training to thousands of employees and individuals over the last 30 years. Delivering quality, professional training is paramount to us as we pride ourselves on our personal service to each and every customer. Our team are passionate and have vast experience and knowledge of a diverse range of equipment across industries including oil and gas, construction, forestry, and aviation, to benefit those who attend our courses.